Maze: The Fracture is coming soon. We snap many Maze: The Fracture screenshots at this time, you should view these screenshots before you choose to download Maze: The Fracture. 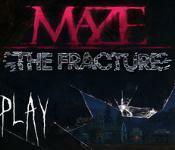 Maze: The Fracture is a new game, it is worth a wait for us.